Ugly doors, peeling paint, worn out garage door, bare yard, and flickering outdoor lights all scream that the home has been neglected. By cleaning your yard, adding some greens, repainting your garage door, replacing outdoor lights, and perhaps adding a beautiful house number, you’ll be making your home more attractive to buyers and adding a few thousand dollars to its selling price too. A new coat of neutral colour paint is not only cheap and easy, it also has a huge impact on your home’s looks too. Although a neutral beige or a warm grey may not be your style, remember that you want potential buyers to see your home as an inviting canvass where they can live in and make their own mark. One area of home improvement that will surely pay for itself is a kitchen update. Kitchens can make or break a sale, no matter how great the rest of the home is. You can start with repainting kitchen cabinets and resurfacing countertops. Replace countertops altogether if they seem dated and go for stainless appliances. You don’t have to do all these, one or two is enough to give new life to your kitchen. Even a hardware replacement can make a huge impact as long as you clear up clutter before showing your home. You don’t have to replace your hardwood flooring and install new carpets to give your flooring an update. A deep clean can have the same effect if you hire professional cleaners. Spotless flooring gives the impression that everything else in the home is well cared for as well. Some expensive repairs may be necessary, but they can go well in your favour if you do them the right way. Examples are replacing the windows, upgrading the HVAC system, and repairing the roof. These energy-efficient home updates don’t come cheap but they can definitely help sell your home fast. Make sure you mention these updates in your listing to attract the best buyers! Remember, you can significantly improve your home’s selling price and market potential if you make smart decisions when trying to sell your home. 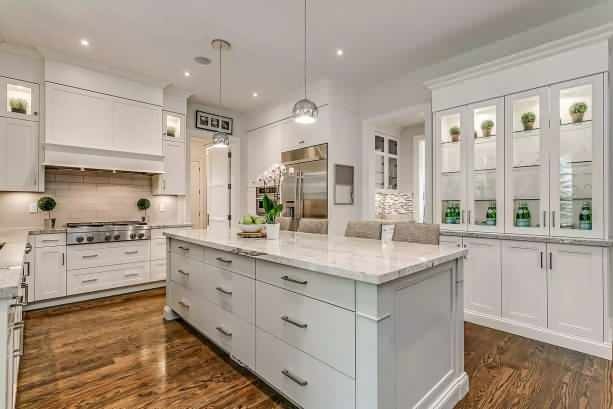 Listing with the right real estate agents can help too, more so because top agents can assist you with staging and taking beautiful photos that can clinch a sale. Contact us if you’re interested in selling a home in Oakville!